In order to control discharge capacity of concrete pump mixer, you can change the rotation speed of engine. After changing rotation speed, you can change pumping speed. You can adjust the size of the opening of throttle valve to change discharge capacity manually. Manually operating has the advantage of convenient and efficient, low cost and so on. Certainly, you should know that manually operating may has low accuracy. You can change-over switch of remote control or control panel to realize the control for discharge capacity. It is a smart, accurate and convenient way. If you need, you can choose this method. 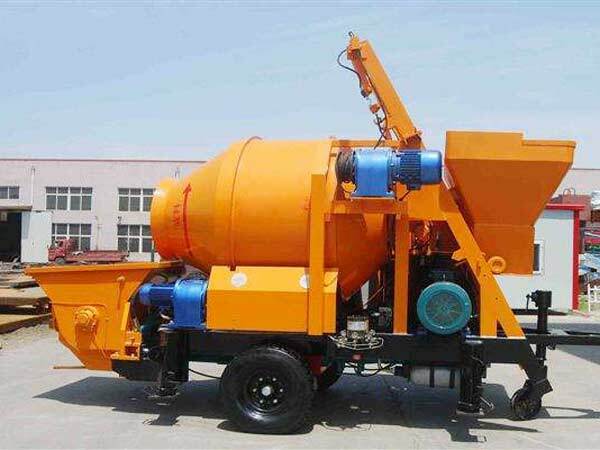 Concrete mixer pump is a new concrete machinery that is used to mix and pump concrete. We have the two types for sale: diesel concrete mixer with pump and electric concrete pump. We hope to give you more information about concrete machinery. If you are interested, tell me your question.